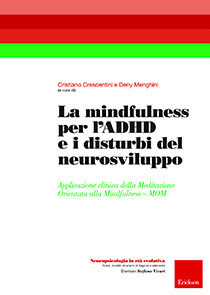 This book has the primary purpose of describing in detail a training based on Mindfulness-oriented Meditation (MOM) and its positive neuropsychological, psychopathological and functioning outcomes in childhood. After a general theoretical framework and a review of the scientific literature on the practice of mindfulness, we provide a clinical protocol of intervention in the multimodal treatment of ADHD. Aimed at researchers, clinicians and educators, the book presents an updated and rigorous overview of the clinical application of mindfulness, offering new insights for future research into neuro-development disorders.